Diverse terroirs, in-depth know how and an unforgettable expression of the Saint-Julien terroir. This Classified 2nd Growth is a pleasure to drink built on an impeccable tradition of wine-growing. Legend has it that Chateau Talbot is named after an ancient British warrior, Connetable Talbot. He was killed during the battle at Castillon, in 1453, and the estate was later named in his honour. Chateau Talbot was deemed worthy of becoming a classified fourth growth in the Saint-Julien appellation in 1855. For many years, the chateau was run by Marqui of Aux. Desire Cordier become the owner of the chateau in 1917, he was succeeded by his son and grandson. Under their vigilant eyes and steady hands, Chateau Tablot became one of the most famous growths in Bordeaux. In 1993, Lorraine and Nancy, Jean Cordier’s daughters continued the legacy that their father left behind. For 15 years, the two sisters used the experience and know-how of their ancestors to continue the tradition. Since the spring of 2011, Nancy has been taking care of the vineyard with her husband, continuing a legacy for the ages. 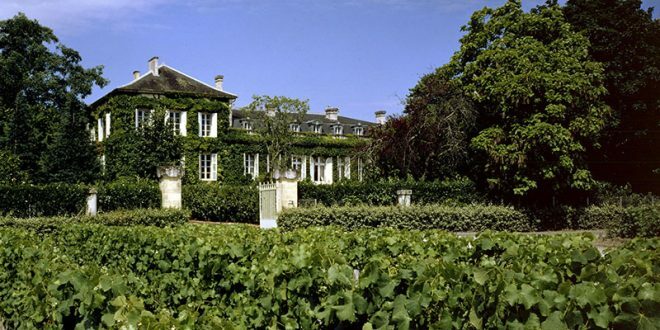 Chateau Talbot extends over a vast 107 hectares, all of which surround the estate and stretch north reaching the border of the Pauillac appellation. The Saint-Julien soil is composed of Günzian gravel and a sub-soil rich in limestone. The gravel creates hilltops, which is ideal for drainage. Red grape varieties are planted on 102 hectares, and the remaining 5 hectares are for white grape varieties. Cabernet Sauvignon (66%), the principle variety of the Medoc and Saint-Julien, Merlot (26%) and Petit Verdot (8%) are the grape varieties planted. Cabernet Sauvignon provides the wine with power and its tannic structure. Merlot is used to round out the mouthfeel and to add smoothness. Petit Verdot is the seasoning used in fine cuisine, it’s used simply to highlight the natural expressions of the dish. Sauvignon Blanc (80%) and Semillon (20%) are the two white grape varieties grown on the property. The Cordier family has been improving the quality of their wines via the maintenance of the vines, great wine making facilities (vat rooms), barrel cellars, and an amazing team. Stephane Derenocourt has been a consultant for the chateau, and has helped bring out the complex harmony of these Saint-Julien. 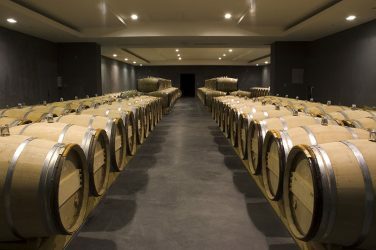 Chateau Talbot has tried several different techniques on different vintages to attain the highest quality. All harvests are done by hand and then sorted by hand. One year the grapes were sent through a tunnel blowing warm air, in order to remove excess moisture. Chateau Talbot has also experimented with picking fruit at higher degrees of ripeness. The great wine, or first wine, from Chateau Talbot is one of the most famous crus from the Medoc. Its notoriety is directly correlated with the quality wine that it produces. A wine that can be enjoyed young or after several years. This is due to the graceful aging and development of the tannins. Brought into existence in the 60s, Connetable Talbot is considered one of the top second wines in the Medoc. Like the first wine, its grapes undergo a severe selection process which is yields unmatchable quality. A classical Saint-Julien Red wine, with an incredible finish. Previous: Chateau La Lagune 2016 is an exceptional vintage!